Purchase any DOLE Bananas or DOLE Tropical Gold Pineapples. Retain sales receipt as proof of purchase. 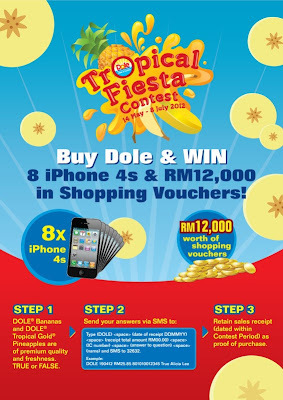 Visit DOLE Facebook fan page for more details.